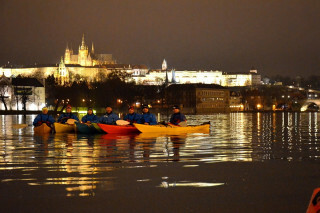 We run in small groups of maximum 6 people so that everybody can enjoy the trip. Our start time is 5:00 p.m. (other times on request). Everyone age 15+ is welcome to join the kayaking fun. No previous paddling experience is necessary. 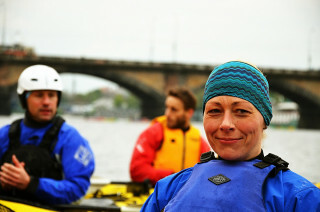 Our guides have an individual approach and you’ll get a short introduction to paddling. We recommend bringing a snack and a bottle of water, especially for warm days. Also, take a hat for sunny days and clothes that can get a bit wet. In case of rain, we'll provide you with a high-quality rain jacket for kayaking. You may store your belongings at our starting point. You can cancel up to 2 days in advance with full reimbursement. For later cancellations, there is no refund. 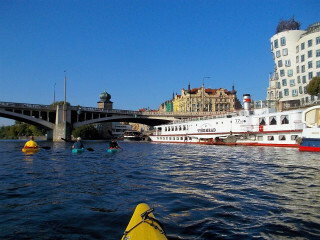 The river is a dynamic environment, so we can adjust the route according to the water level or traffic situation on the Vltava river. 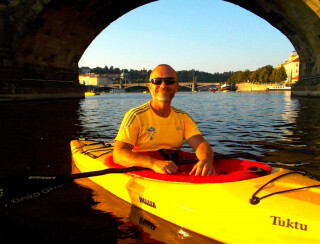 It’s hard to imagine a more unique and marvelous way to experience Prague than discovering the historical center on kayaks. We are proud to share this gem of a tour with you. The tour is full of contrasts. You are in the middle of a vibrant city, yet you have a strong feeling of solitude, far from the crowd. 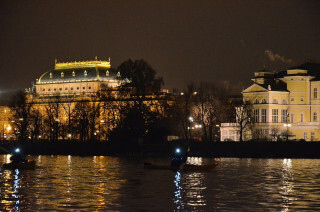 You enjoy Prague’s historical wonders but from a unique perspective given to only a few. Sometimes you’re just a few meters away from the “normal” tourists yet in magical hidden places. It's simply something special. 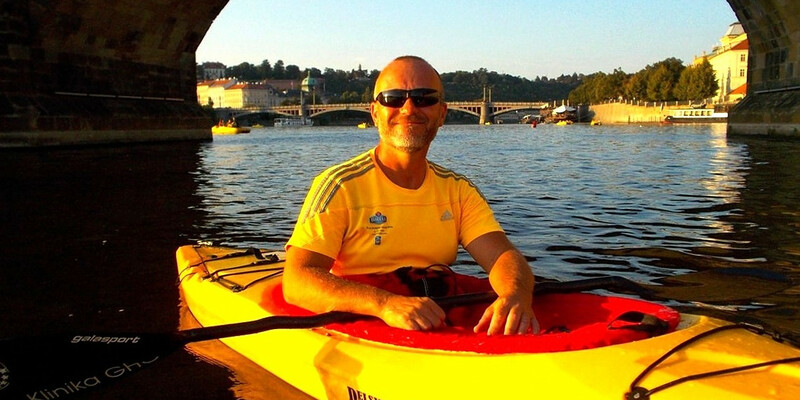 During the 3 hours of kayak sightseeing, you will have plenty of time to enjoy the views, take pictures, and talk to your guide. Don’t worry if you haven’t been kayaking before. The pace is adjusted to beginners, so you relax and enjoy the magical experience. 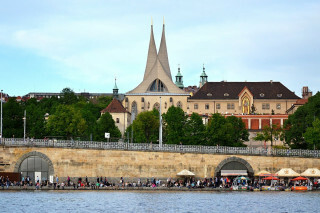 On the way, we see the Prague Old Town, the grand Vysehrad church, the cubist Dancing House, the Czech National Theatre, and the Prague Castle. 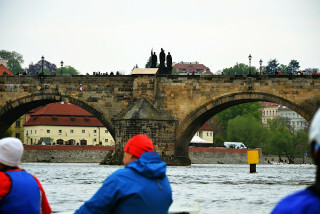 Of course, we don’t miss the Charles Bridge, skipping the crowds of tourists to travel underneath! Along the way, your guide provides the historical facts and context to make this trip a complete discovery. When we return, you are welcome to rest with a fresh drink at an atmospheric boat-bar right at our ending point. 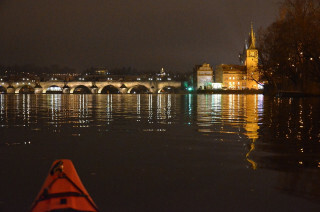 Stepping out of the kayak, you return to land with a new perspective of Prague and an experience in a city center like no other.